The black-spotted Pond Frog is one of the famous frogs in Japan. Scientific name is Rana nigromaculata. The Japanese name is Tonosama Kaeru. Kaeru means frog and Tonosama means a person of high rank. When they meet enemies they intimidate by means of puffing up. This attitude is similar to tonosama. So this frog is called “Tonosama Kaeru” in Japan. Black-spotted Pond Frog length is male 5.5~8, female 6~9. In other words female bigger than male. And weight is 15~40. Method to distinguish male from female is attention their body colors. Male is yellow or green, female is grey. Black-spotted Pond Frog has been broken down that chordate phylum, amphibian class, anura order, ranidae family and pelophylax genus. Daruma pond frog lives in Japan. Daruma pond frog and black-spotted Pond Frog are closely related. Daruma pond frog is so similar to black-spotted Pond Frog. You may mistake daruma pond frog for black-spotted Pond Frog. 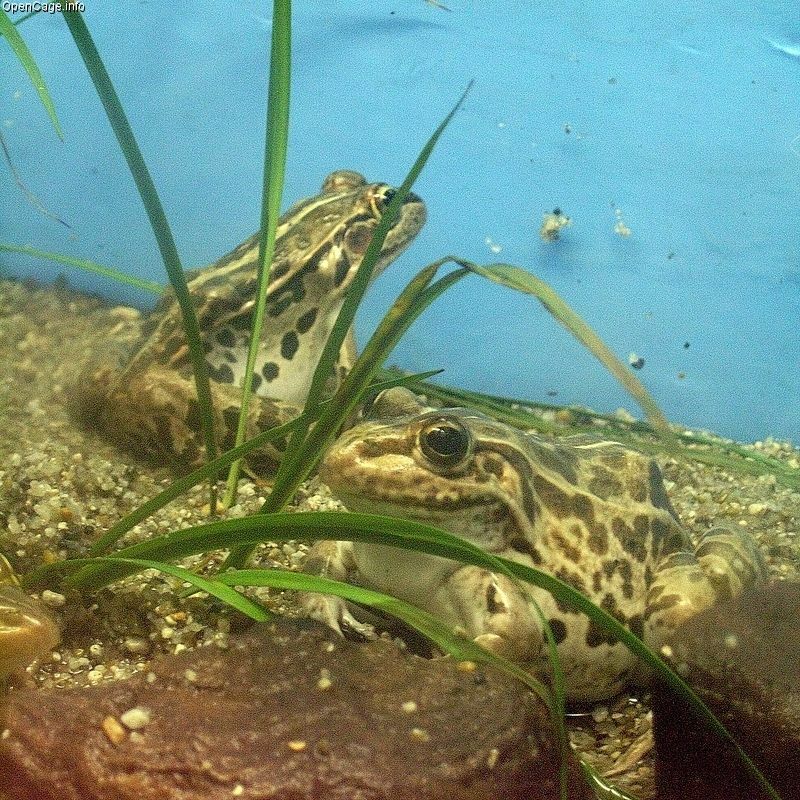 Black-spotted Pond Frog lives throughout Japan. Of course they live in Kouchi. Kouchi has a lot of watersides so it is easy for them to live. But peculiar species were found in Aichi , Hiroshima and Nagano, Niigata. We can find them in the rivers , pool, marsh, moor and rice field. Nearly always they are near the water. In winter they hibernate in the mud or under the fallen leaves. The Black-spotted Pond Frog eats insect, spider, myriapod, shell fish and small frog. In any case they have a big appetite. Surprisingly they often prey on one another. They must hunt many living things. So they can move very quickly and their jaw is stronger than other frog’s one. Cry of black-spotted Pond Frog is very beautiful. They eat harmful insects. But they are now decreasing because recently concrete covered the end of water side. They don’t have sucker on their hands. So they can’t return to land. They die if they are in water for a long time. Other big reason is water pollution and American bull frog eats black-spotted Pond Frog. American bull frog was carried by human from foreign country. You should try to look black-spotted Pond Frog at watersides in Kouchi. Surely you are understood why Japanese people likes this frog. I was surprised because surgical knives were larger than males. However, the main body of the frog is not so large. The frog is lovely. I am from Hiroshima. Therefore, it searches for a peculiar kind of Tonosamakaeru. Thank you. I know black-spotted Pond Frog . But I do not know that they are eaten by American bull frog . THe numbber of Black-spotted Pond Frog is decrease by creature that we carried. We have a heavy responsibility.